While it’s been nearly 17 years since 343 members of FDNY made the ultimate sacrifice, the grim reality of that day has not faded for the fire service. Add to that the staggering increase in illnesses and deaths related to that fateful day and the tragedy still cuts deeply in the lives of many families. Participants will climb the stadium stairs three times for a total of 110 stories, representing the number of floors in the Twin Towers. Check-in will run from Noon to 1:00 pm. A brief ceremony will follow at 1:15 and the climb will begin at 1:30 pm. The fee is $35 and everyone will receive a photo ID of one of the fallen heroes of 9/11. Everyone who registers online will receive a T-shirt and commemorative Challenge Coin. 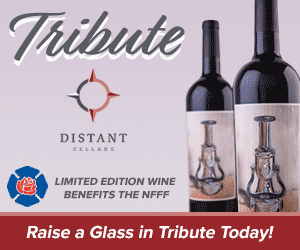 The proceeds will benefit the FDNY Counseling Services Unit and the programs provided by the NFFF to support the families of our nation’s fallen firefighters. New this year is Climb Support in recognition of the many individuals on any incident who play critical and meaningful roles to ensure a successful operation. On 9/11, there were many firefighters who fulfilled these roles whether it was the fire department chaplain who was there to provide spiritual support, or an individual assigned to provide communications capability. Climb Support is a way for those who may not be able to physically complete the stair climb to support a buddy who is climbing or in recognition of those fallen brothers who were part of that level of support on 9/11.